Or click here to read the issue from your web browser. With this issue of Overture Online we are migrating to a new digital content developer. While many of the features are similar in look, feel and behavior as with our former developer, please note that some of the functions and navigation procedures may be slightly different. View page 3 of the issue for more information. PLEASE NOTE: If you had previously installed the “Overture Online” app on an Apple device, please update the app to version 3.0.0. Android users need to install our new app, “Overture Online Mag,” available free from Google Play here. Back issues may be viewed via any web browser, on desktop or your smart device, by visiting our Overture Online Web Archive. If you have any questions, please feel free to contact us and we will be happy to assist. 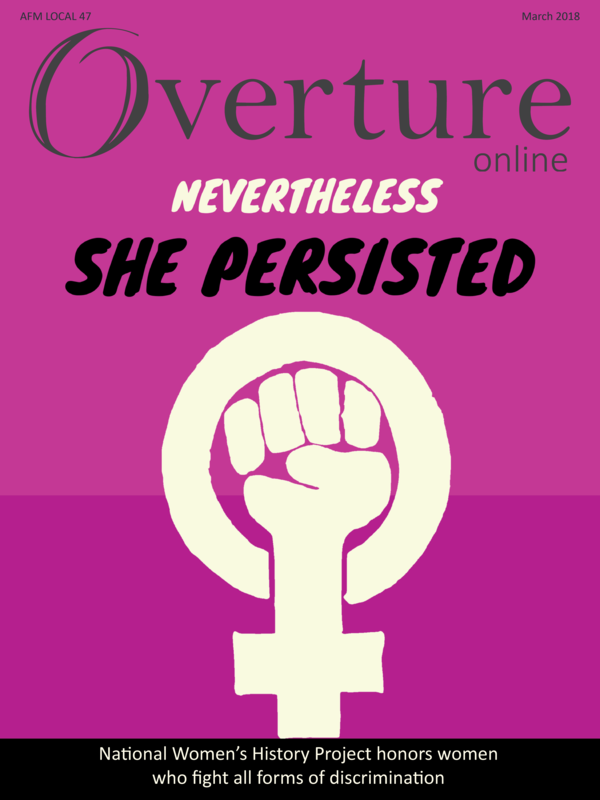 This entry was posted in All News, Overture Online and tagged Overture Online, Women's History Month on March 2, 2018 by admin.